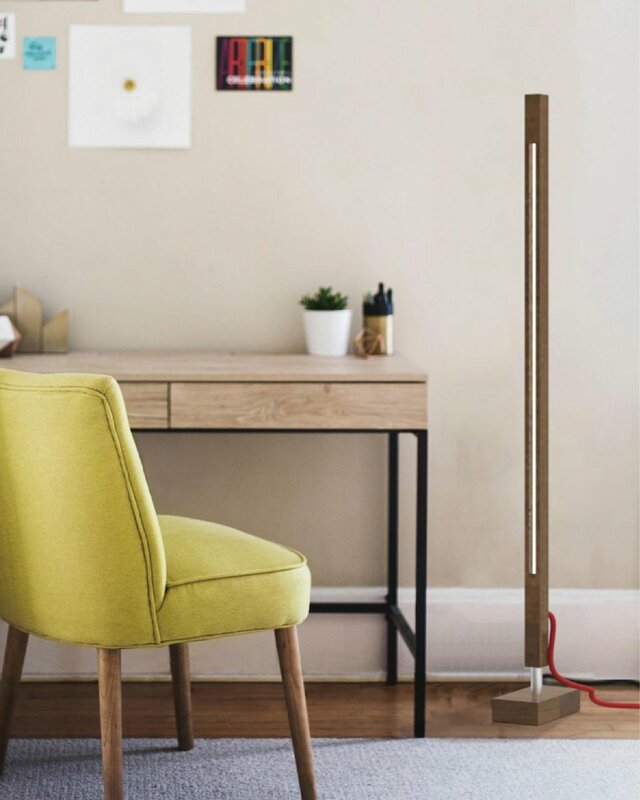 Based out of Toronto, Fishtnk Design Factory is a multidisciplinary design firm centred around fusing beautiful and ergonomic design, making for everyday products that are both utilitarian, and delightful. One of the most undoubtedly overlooked elements of architecture and spatial design is lighting. Lighting is a unique element in that it can make or break an atmospheric vibe, but is so subtle that most people wouldn't consciously acknowledge their effect. It alone can make the difference between the vibe of a fast-paced intensive work environment, and a relaxing Sunday evening reading books in the living room. All whilst staying unnoticed, and completely out of mind. 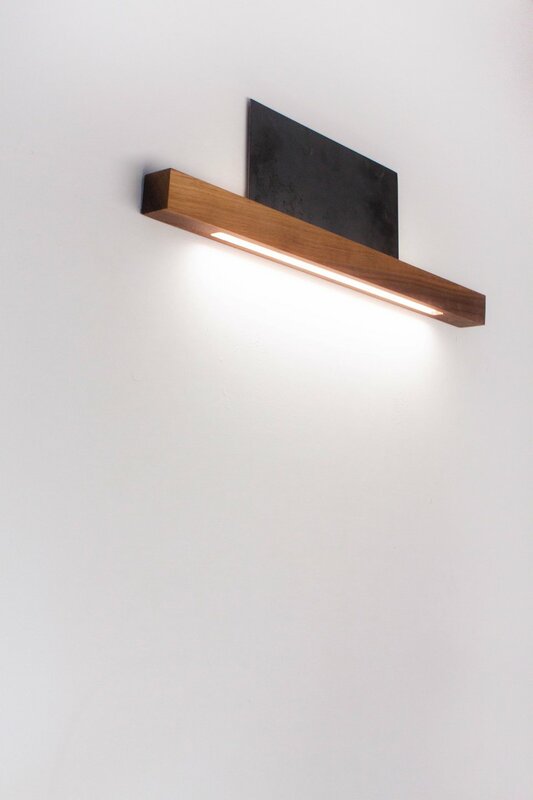 Understanding this concept, Fishtnk Design Factory's Aaline lighting series is a simple, but an extremely conscientious solution to lighting. The Aaline series is comprised of several model variations based on their placement in a room, tied together with the intent of a non-intrusive design that's subtle, but effective. 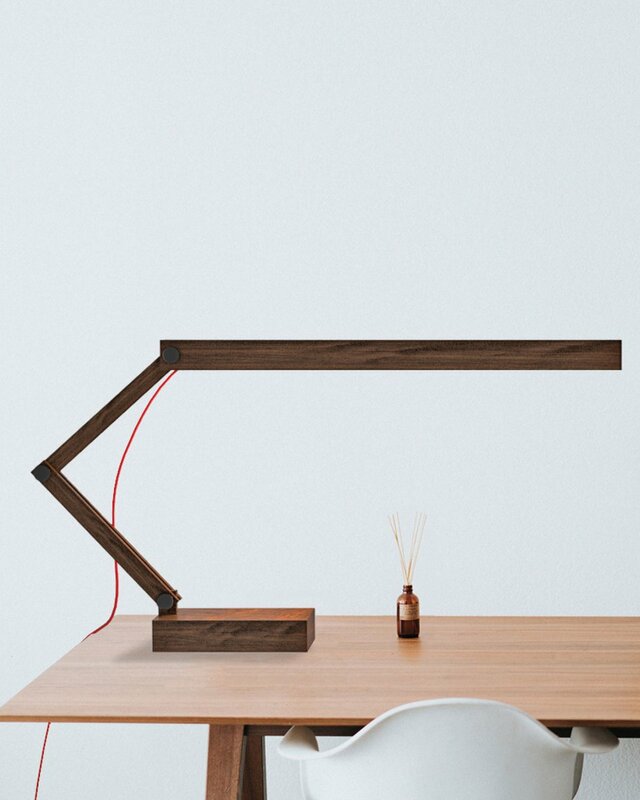 Aaline comes as mounted, on a stand, as a task light, and suspended, and its simple form allows for it to give off both up and down lighting. In all cases, the housing comprises itself of a sleek, minimal rectangular form with a narrow slit for light, and comes in sustainably sourced Canadian hardwoods like cherry, walnut, and maple. The nature of this design revolves around the idea that a truly elegant design solution would be so well embedded into its environment, that it would be almost seamlessly camouflaged by the context of its matching surroundings, and equally effective in both residential and institutional settings. It's extremely low-consumption and comes in 3500 Kelvin [a warm white] and 4000K [a neutral white] to accommodate different setting types. The Aaline lighting system is not only a universally applicable design solution but also a sustainable one. 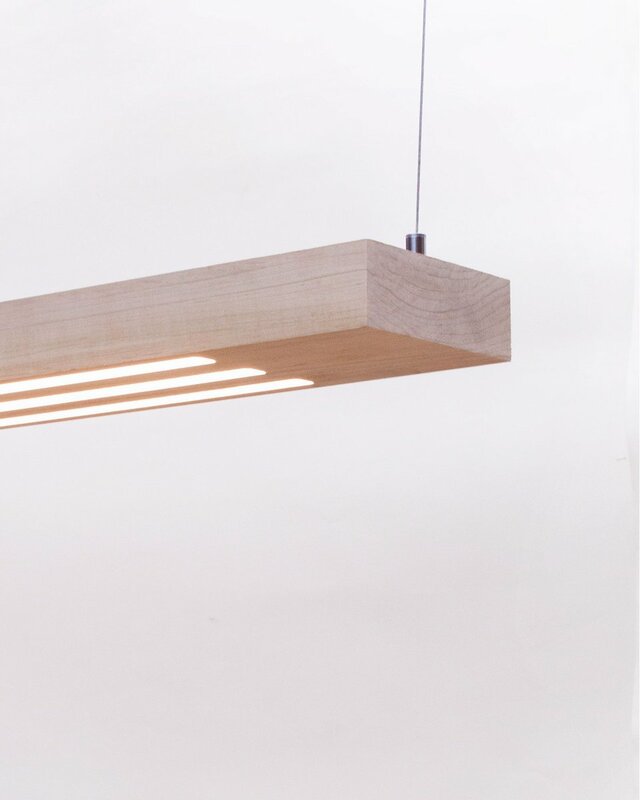 The linear lights are carved from FSC certified Canadian hardwood, and CSA approved. Complete with UL & ETL listed & registered components, the Aaline lighting system is a 100% LEED certified product, and a wonderful addition to any Canadian household. Check out their diverse portfolio here.